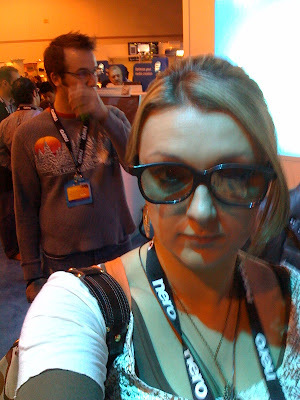 GeekGirl Episode 8.1: CES is fun! Finally! 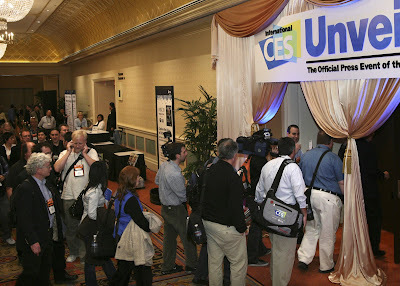 Here's Part 1 of my 2-part GeekGirl, behind-the-scenes, CES (Consumer Electronics Show) extravaganza from Las Vegas! 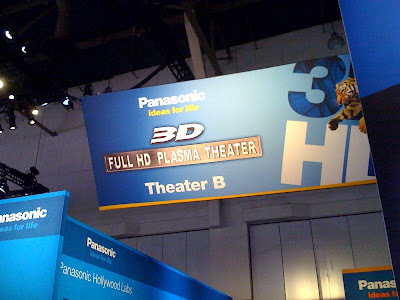 I had a coveted all-access pass to the industry-only show floor and brought back LOTS of video and pictures for all of my beloved GeekGirl followers! Get in on the action here (and if you are at a computer with a good internet connection, make sure to watch the video in High Quality by clicking the "HQ" in the bottom right-hand corner!) 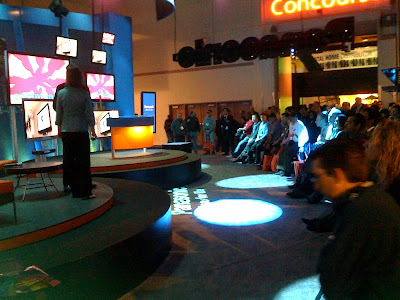 Remember this is just Part 1-in Part 2, I show you lots more including the MyVu booth, the new Blackberry Storm and all sorts of awesome new technology (including big companies taking exciting GREEN initiatives that mix technology and help our environment at the same time) from the show floor! Last but not least, keep those emails coming to geek.girl@earthlink.net! So it's past midnight and I'm in my hotel room feverishly editing all of the AWESOME stuff I filmed for you today at CES. I have come to the realization that since i have to be at McCarran Airport tomorrow morning at 10 am, and the cab lines will be insane, I won't finish the podcast tonight. (Plus, my laptop has run out of disc space and I can't render files! Always a bummer). But I couldn't leave y'all hanging! So here's a preview of the intro with some cool footage in a montage of the stuff you are going to see when I get back to LA and finish this this weekend! Oh, and here are some pictures too!! 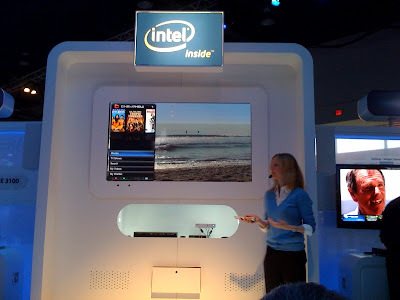 Intel inside TV's-you can create your own widget ticker and view widgets on your TV! 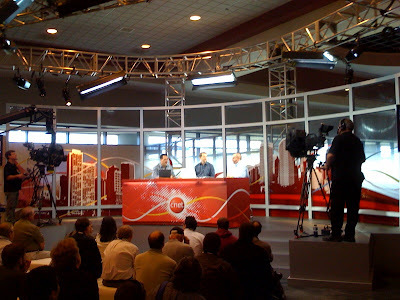 CNET was broadcasting live from the convention...it was really well done.. This was my favorite thing! These are the plaques above all of the toilets. 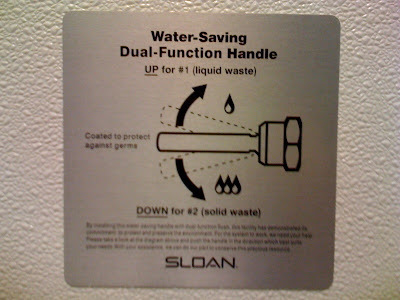 They define "#1" and "#2" bathroom behaviors...hilarious! Ok, that's it for my quickie preview...off to pack and jet back to LA...more over the weekend! I've got lots of stuff to share! 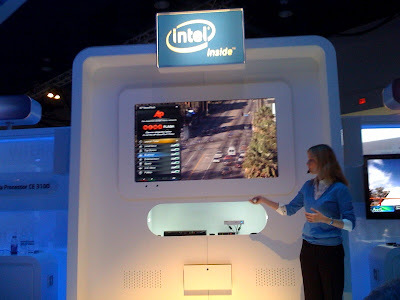 GeekGirl is Alive and Well, and in Vegas for the Geek Convention to Out-Geek Them All: CES! So guess where I am? Ok, so I guess I sorta told you in the title, but I'm in Las Vegas for the yearly Consumer Electronics Show, CES, which is a HUGE industry-only (meaning you have to work in the industry from some angle) trade show debuting the hottest gadgets and electronics that we will all be drooling over for the year to come! Peeps in line to get into some of the keynote speeches. 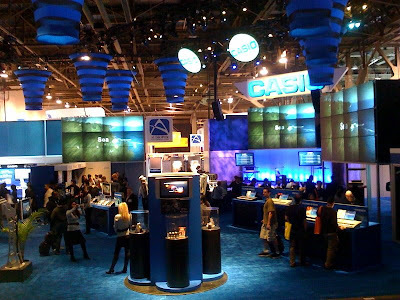 Each year, the International CES attracts the “who’s who” of the technology and related industries, including C-level executives from the entertainment, wireless and consumer electronics (CE) industries. 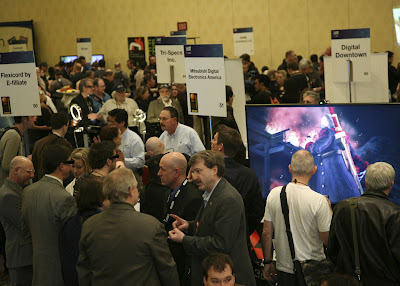 Plus, more than 24,000 industry and corporate buyers use CES as a means to compare and evaluate new products. 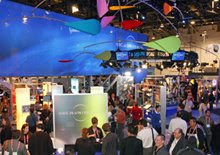 That's because CES features 30 product categories, including digital entertainment, wireless, digital imaging, computing and networking, audio, video, in-vehicle technology and accessories for the home, office and road. So while I'm here, I thought I'd bring my little FlipCam and try to get some exclusive access for y'all from the convention floor and post some tidbits. Would ya like that? huh? Would ya? LOL. 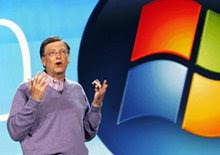 I'm just excited to be here, geek that I am. And please know that I have NOT forgotten about the iPhone podcast part 2! I took an unofficial hiatus from the GeekGirlKnows blog, but I'm back in 2009 and better than ever! Promise! Ok, stay tuned for some fun stuff this week! I'm here for 3 days, and it all starts tomorrow, so lookout for something hopefully tomorrow night! PS-Don't forget, you can always email me at geek.girl@earthlink.net!